I have contemplated the question of value and wine for quite some time and it seems to me that wine has become an increasingly expensive affair, in the last few years. The prices of quite a few wines have rocketed so high that they have become more of an asset, a luxury brand or a trophy, rather than a drink made of the complex development of grape juice that is meant to be savoured, appreciated, shared and, most of all, enjoyed. And despite the fact that these wines are ultimately beautiful it makes you wonder if wine is losing (in some cases) its essence and perhaps its soul. Nowadays, as soon as a wine becomes well known and sought after, it takes little more than a few vintages before its price spirals upwards. And, I'm not only referring to the top regions of Burgundy, Bordeaux and the Rhone. This column arose from my perception of an empty space. The legendary wines are often praised by all, but can be afforded by very few. Nevertheless, there didn't seem to be much written about wines that are distinctive, interesting, and sensibly priced. Suggestions of wines with character, that are actually an amazing bargain for their quality. So, here I will be focusing on beautiful, top value, wines that should not be missed. Of course, I had to set a reasonable upper limit; exactly the point of this column. The limit for wines from Greece is up to 15 euros and for those from around the world, up to 35 euros. Welcome to the world of super+normal. Vangelis Chatzivaritis founded the family winery in 2007, in the area of Goumenissa of Kilkis, Macedonia. Local legend has it, that the wine produced of the indigenous Greek varieties Xinomavro and Negoska (Goumenissa PDO, nowadays), was the wine of choice of Philip, the King of Macedonia, father of Alexander the Great. 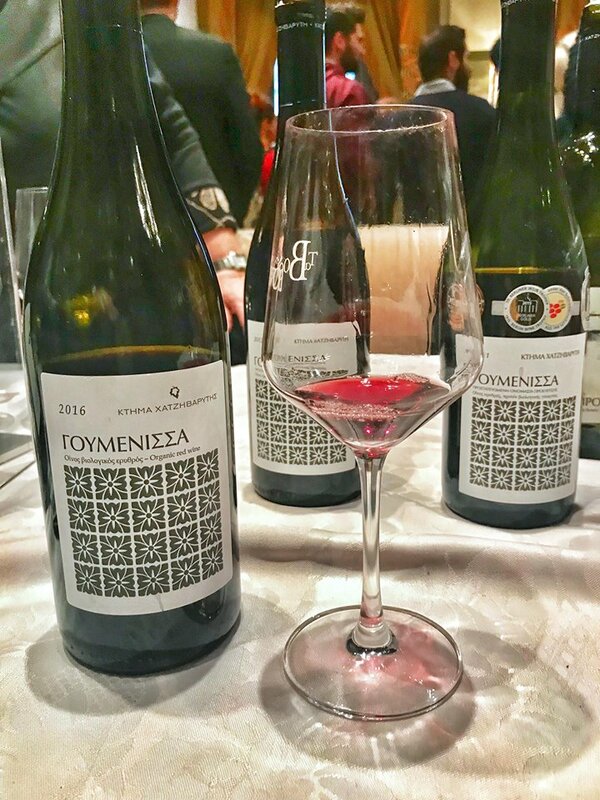 This family artisanal winery produces just 60.000 bottles from 12 ha of vineyards, which are planted in the Filyria area (270 m altitude, sandy clay soils). The Goumenissa is their flagship wine, of which 20.000 bottles are produced per annum. Andreas Pantos is the winemaker from the very first 2007 vintage. The blend consists of 70% Xinomavro and 30% Negoska, as Chloe Chatzivariti explains, which softens the wild character of Xinomavro. 2016 is a terrific vintage, with excellent ripening conditions. The wine has seen 3 weeks of maceration followed by 16 months in used oak which is more than 4 years old. ''From 2019 onwards a new Goumenissa will be introduced that will be vinified with indigenous yeasts'', Chloe says.